1. 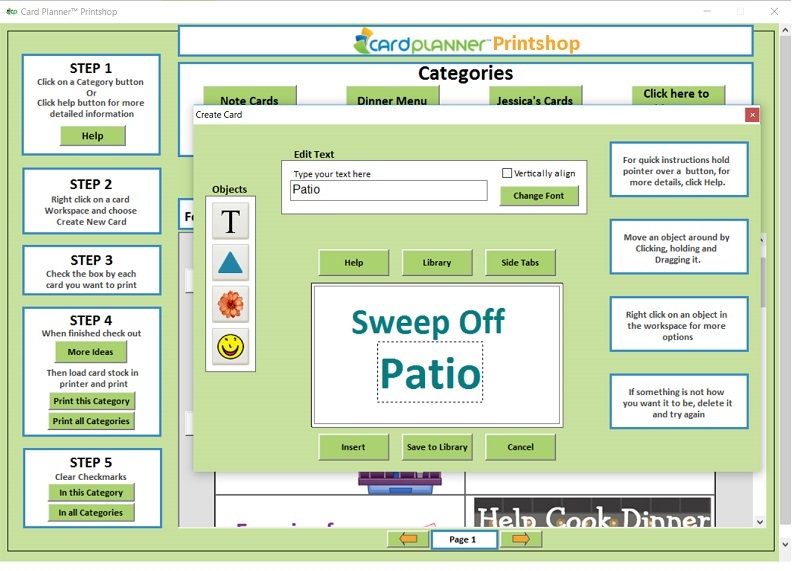 Write on the cards or create and print them from the Cardplanner Printshop. 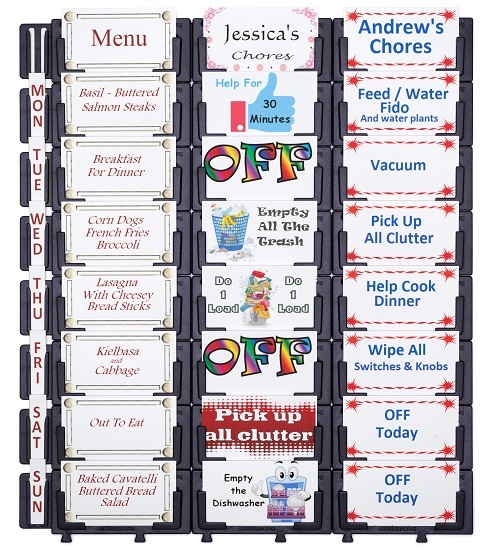 Put your own meals or chores on the cards, you are not locked into using the cards that come with the system. The cards are standard business card size and can be purchased at any office supply store. 2. Place the cards on the Cardplanner on the appropriate days. 3. When the week is over, remove the cards and store them in the card tray. Constantly make new cards as you think of new meals or new chores. 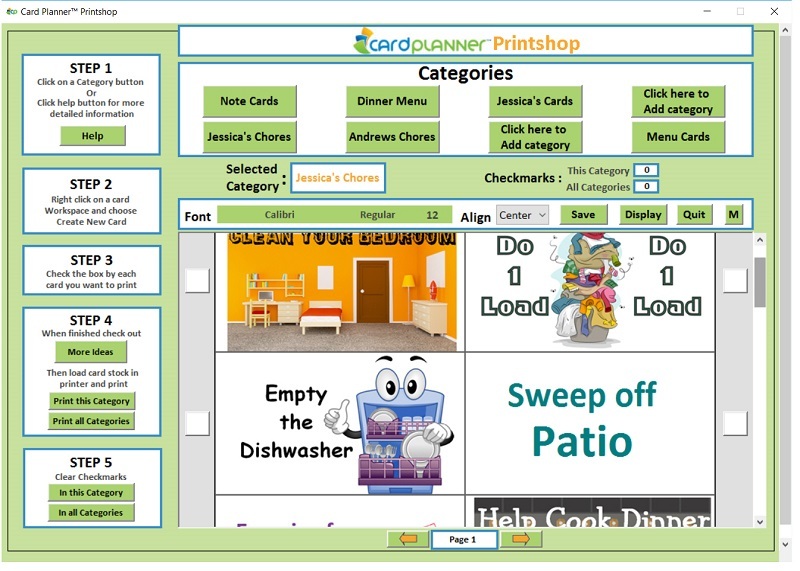 You can make the cards simple or detailed by adding information like side dishes, recipe book page numbers and rewards on the chore cards. 4. Choose your new cards for the new week and put them on your Cardplanner. Eventually you will have a large pack of cards in your storage tray to thumb through with only the meals or chores you like, making it very quick to pick them out. You could even do 2 weeks at a time, simply put the next weeks card behind this weeks. 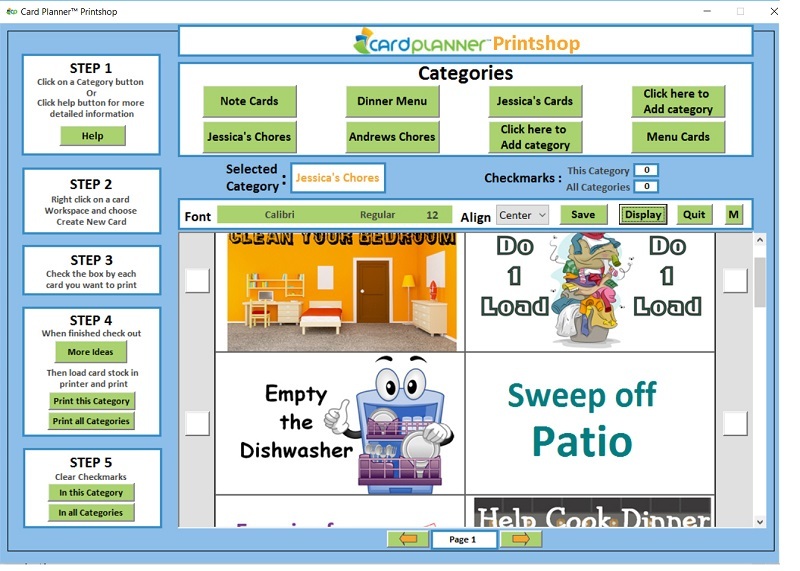 We have been using Cardplanner for some time now and have never found anything else that is so easy to plan meals and chores. All the other chore charts we tried were not versatile enough for the varying ages of our kids. Also, many use dry erase markers that require a lot of writing. 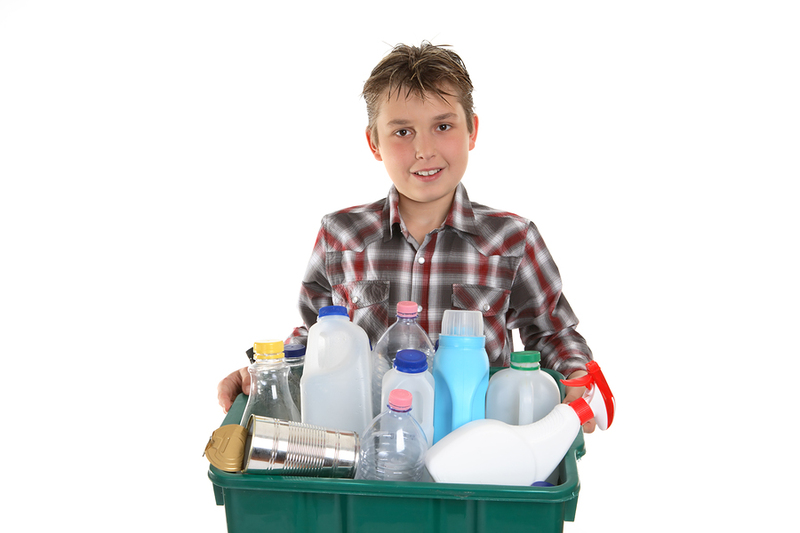 There are also phone apps available for chores but they were so involved we felt like we would need a training course on using them and keeping the information updated. 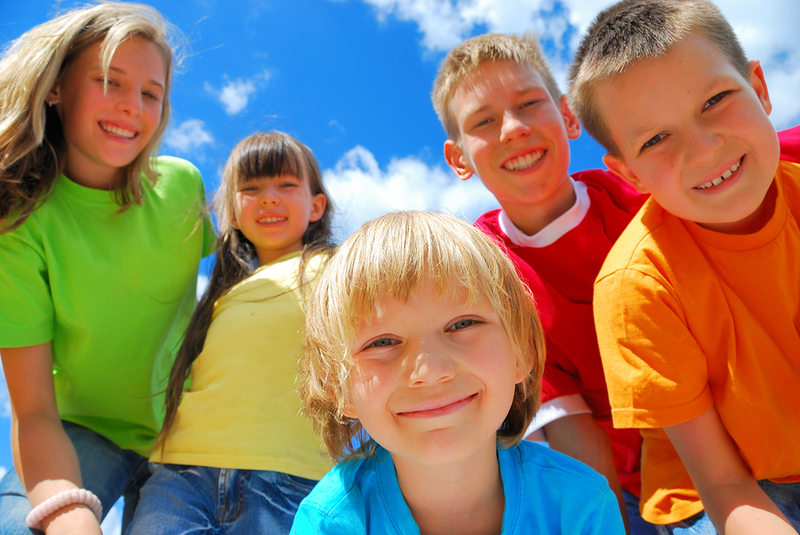 We wanted to make something that was easy for us and the kids to use and understand. 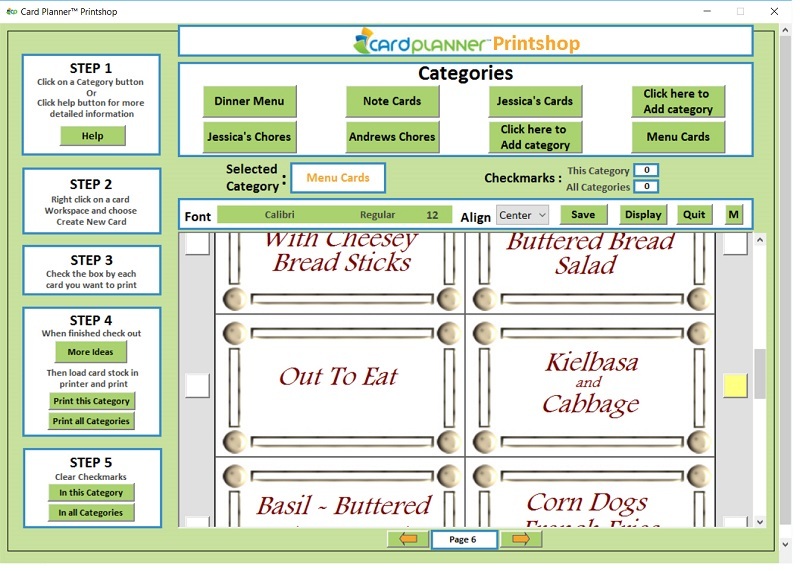 Cardplanner Printshop is not a full publishing program, it was designed to make card making very easy. There is an import feature allowing you to bring in cards from other sources if needed. 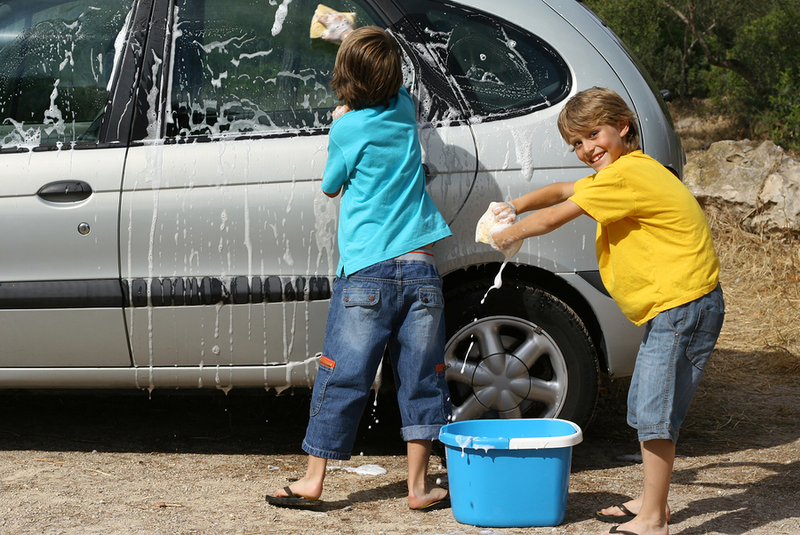 You might want to make chore cards uniform for the older kids or fun and playful for the younger ones.